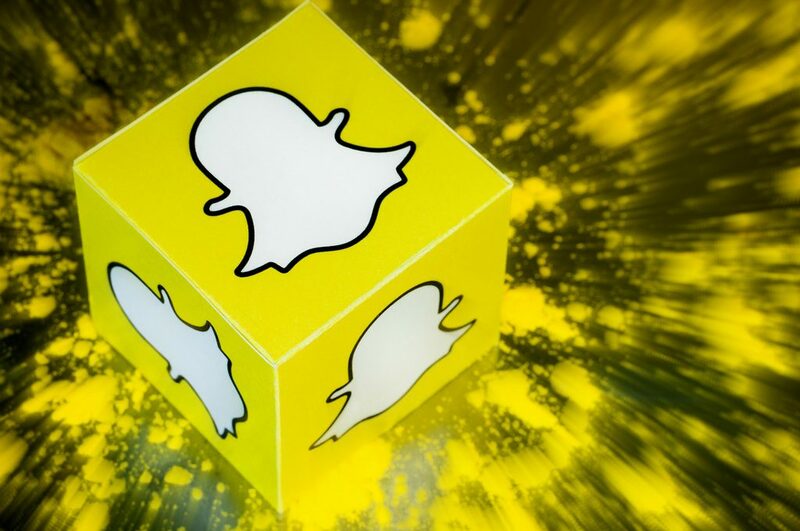 Snapchat is popular among the millennials, with over 161 million daily users. It has become an important network for brands to connect with potential customers. To save your time on the internet and make work easy, we have prepared a Snapchat Marketing Pro guide to get you started. A Snapcode is a Snapchat-branded QR code. 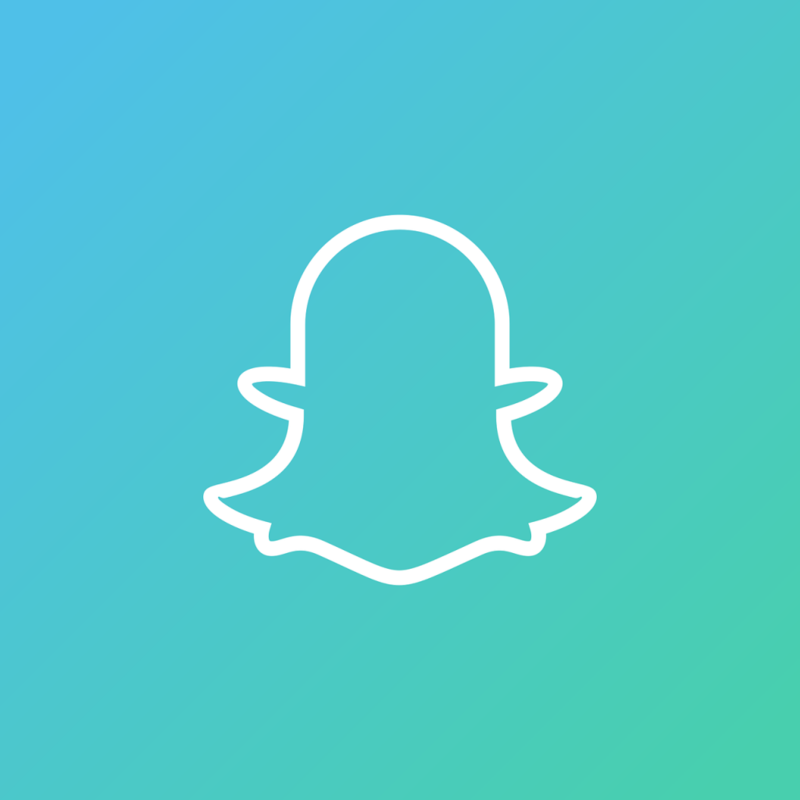 Users follow brand by scanning a Snapcode with the Snapchat app’s camera. It is a unique way for businesses, celebrities, Snapchat users to get more followers on the app. Create a snap code. 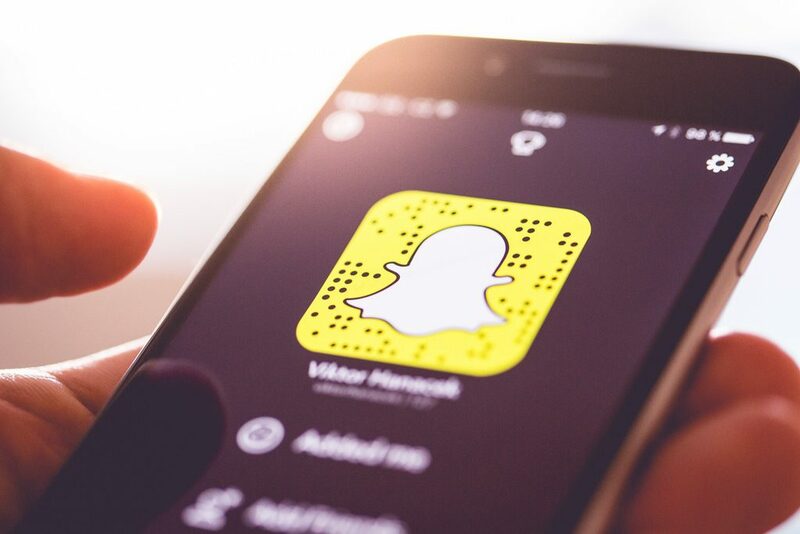 If you don’t like the boring (yellow background, black dots, white ghost), you can even create a customized Snapcode for your brand. First Login to your Snapchat account, download a.PNG file of your Snapcode. There is various online photo-editing software that is available online such as Canva or you can use Adobe Photoshop to change the background color of your Snapcode. Save the Snapcode and post it on your websites, posters, social media and more. 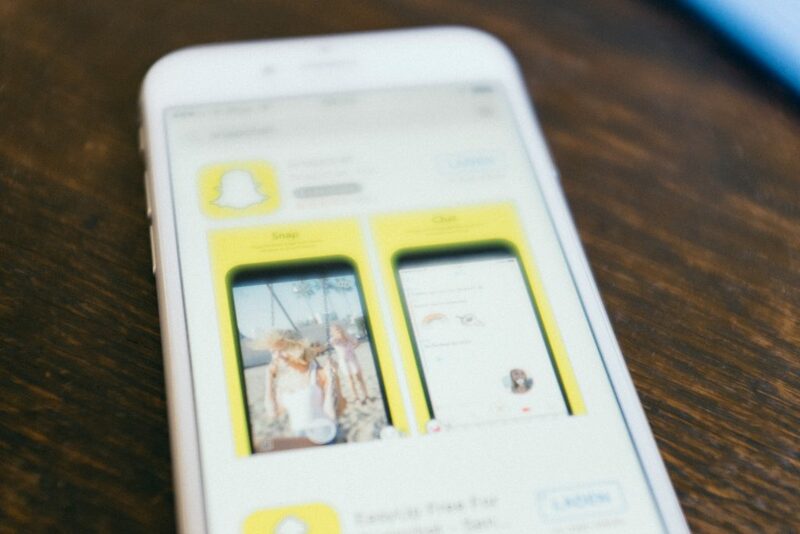 Snapchat offers 10 sec mobile Ads with a choice to add elements. 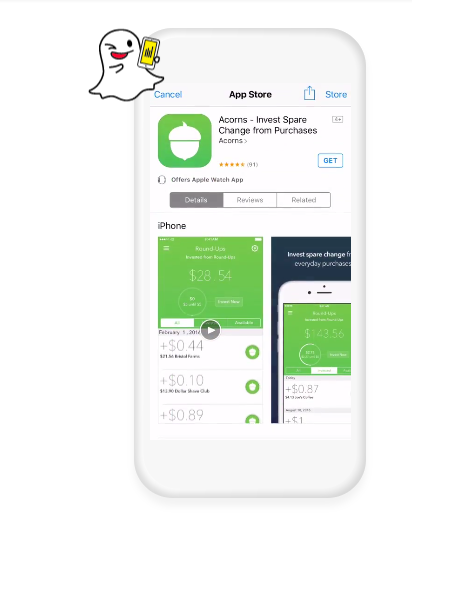 Snap Ads are full-screen video ads to promote brands/products. Web View: Drive traffic to your website, this feature also allows users to send account email to you in just one tap. App installs: It’s a great way to promote your app, as users can easily install the app in just one tap. 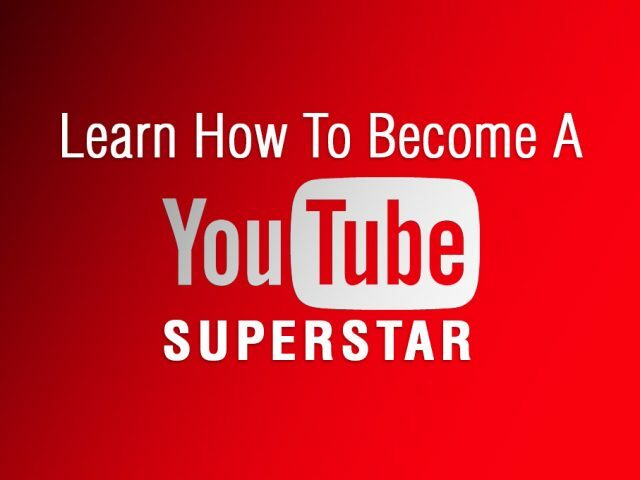 Long-form video: Whether you want to promote, a short film, feature film trailer or blogs. It’s an effective way to grab eyeballs of followers. • Ad manager – for buying video Snap Ads. With self-serve ad manager, you can easily manage, optimize, and track campaigns from the dashboard. 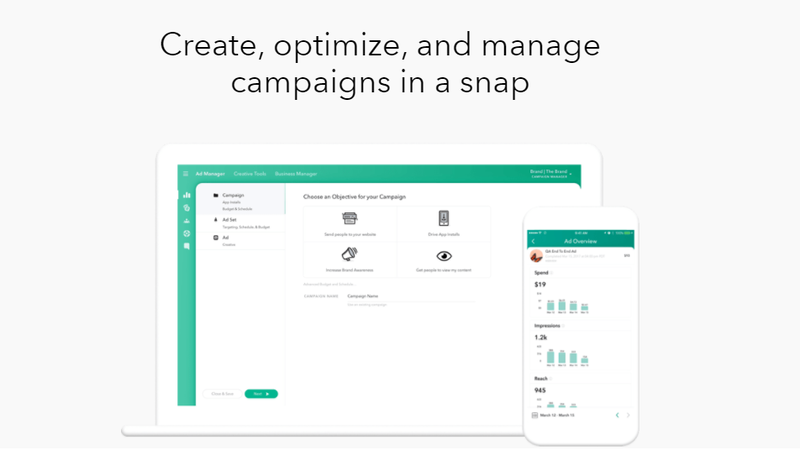 • Snapchat Mobile Dashboard – review live campaigns performance, edit and pause campaigns from the admin dashboard. • Business Manager – Set roles for ad team members, change billing contacts and manage multiple ad accounts. Sponsored lenses are fun for users and a creative way for brand/businesses to market their product. Snapchatters tend to play with sponsored lenses for an average of 30 seconds, before sending it to their friends. Just think about it for a second. On most of the platforms people hate ads, but on Snapchat they play with ads. They take video selfies and overlay images. 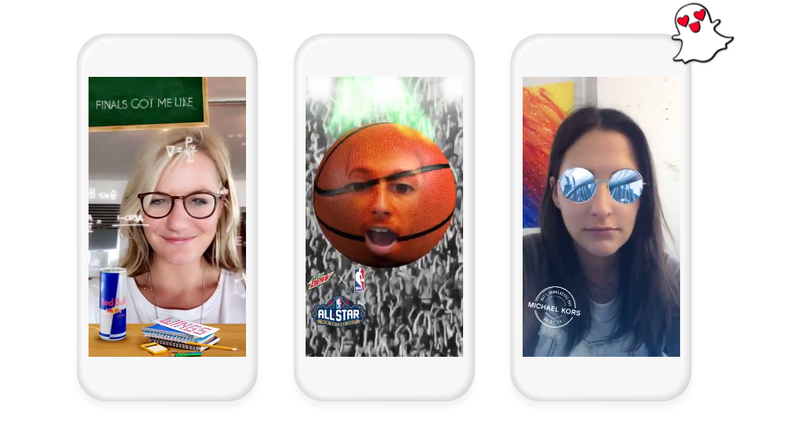 Team Snapchat creates these Sponsored lenses for brands, but because of its high development cost, Lenses are currently out of the reach of small and medium-sized businesses. According to reports, Taco Bell’s Cinco de Mayo campaign was a massive hit among Snapchatters. It’s sponsored lenses viewed over 224 million times. That makes it a great platform for brands to leverage in-app users’ engagement. 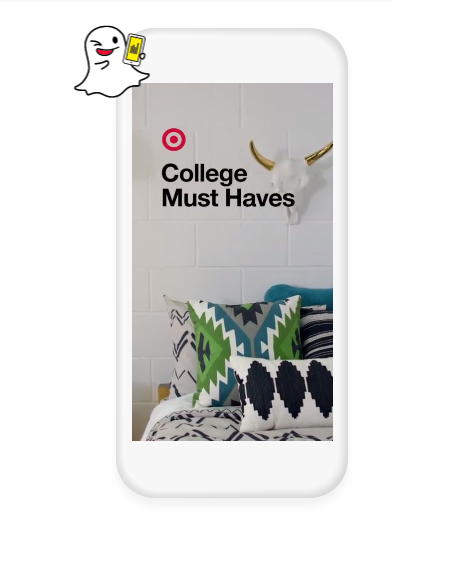 Snapchat offer discover ads only to publishers or big brands. These ads are expensive, and only big brands can afford it. According to Snapchat – Cosmo, gets several million views per day on its Snapchat Discover. 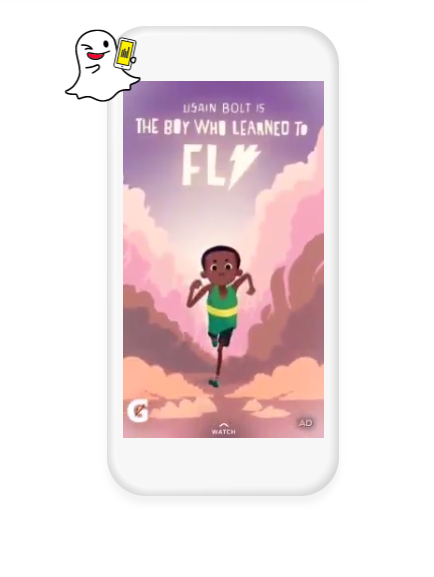 Sponsored Geofilters allow brands to create their own Geofilters to promote their brand, and the best part is they can choose the time and specific location to activate the sponsored Geofilters. 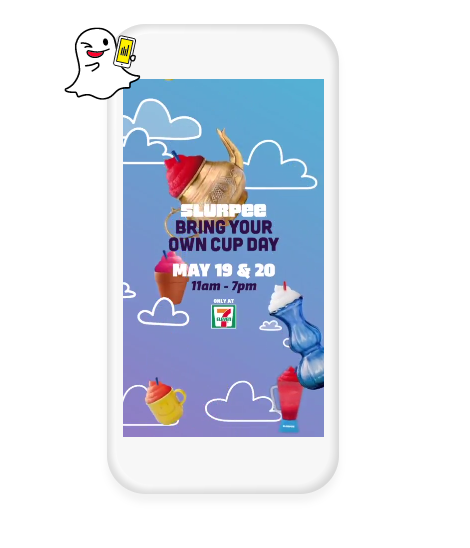 Brands can use logos and small art graphics that show up over a Snap, whenever a Snapchatters take a Snap in a specific location, they get options to select these sponsored Geofilter. Identify the right influencer on Snapchat, form partnerships to create campaigns and increase customer base with demographic targeting. 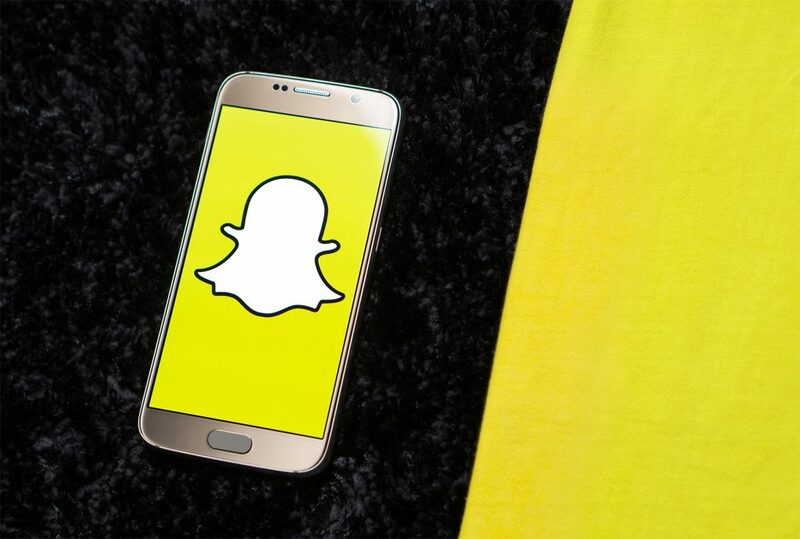 We have created a list of top five business marketing ideas you can use to gain more followers on Snapchat. • PRODUCT HUNT: Run a product hunt contest, Snap users the particular product that they have to find in the store to get 30% off or 50 off. • SNAPCHAT CONTEST: How about a free trip contest? We all love freebies! Snapchatters have to write down your brand’s keywords and share snap to friends in order to win the contest. • FLASH SALES: Give prior information of a sale and send the coupon or special code to your snap story. So, followers can screenshot the snap and present it to the store to avail discounts on the day of sale. 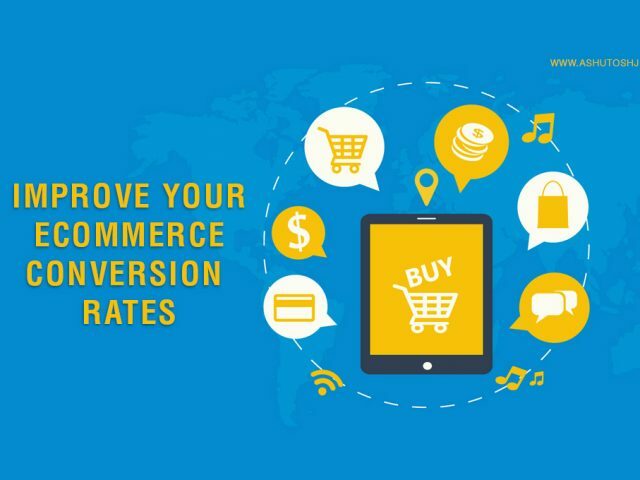 With this, you will have a data of potential buyers which you can use it to generate more sales in future. • TGI FRIDAY’S: Make up a special menu item that customers could only eat on that specific day or in between specific time period like 5 pm – 8 pm. Share the details of exclusive offer with users. This will help you increase footfall in your cafe or store. • EXCLUSIVE PREVIEW: Give your followers an exclusive VIP access to an event or product demo or product launch. It is a great way to engage with potential customers. 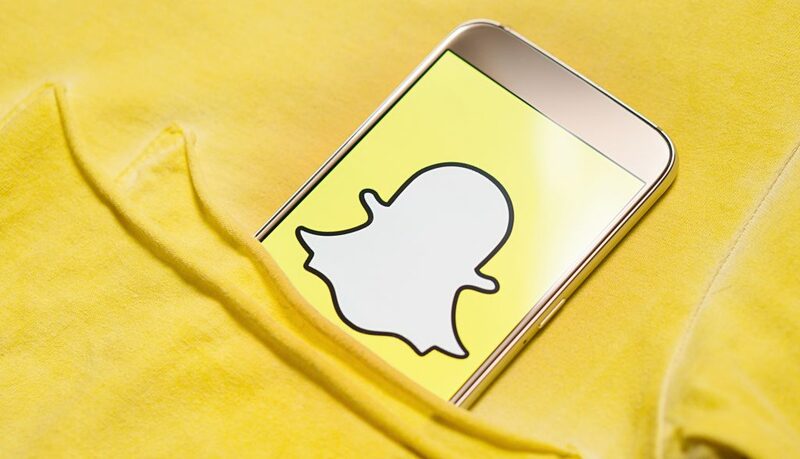 Now, you know the basics of snap chat marketing and advertising. 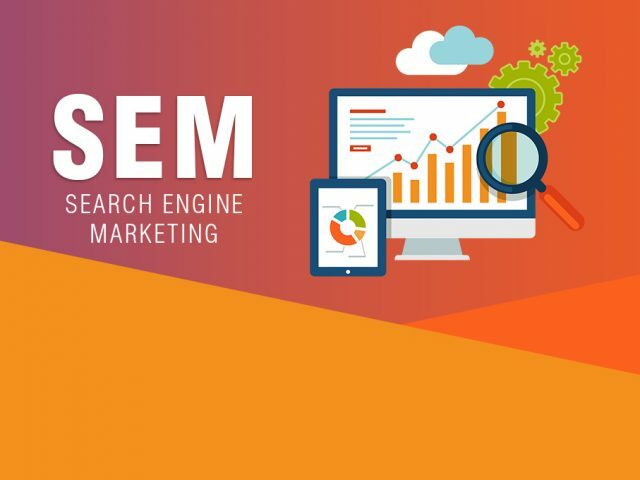 With the above-mentioned tips, you can easily create brand awareness among targeted groups on this app and will surely help you to gain an edge over competitors. Are you facing any challenges as a Snapchat marketer? Tell us, we promise to provide a solution through our blog. Do you like this blog post? Please leave a comment!